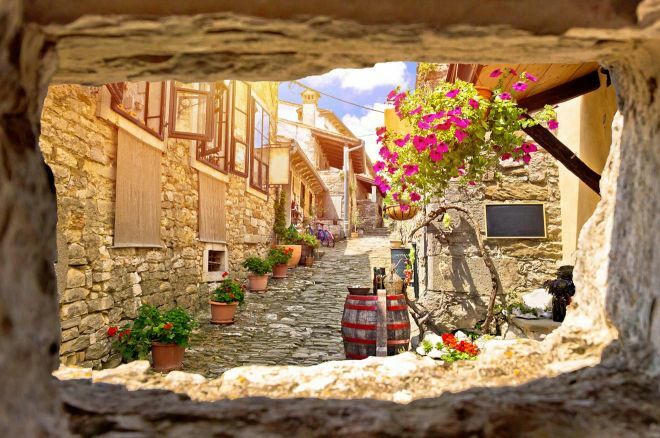 8 Charming Towns In Istria (Croatia) You Should Visit! Istria is a region in Croatia – a small peninsula located only a couple of hours by boat from Venice, Italy. 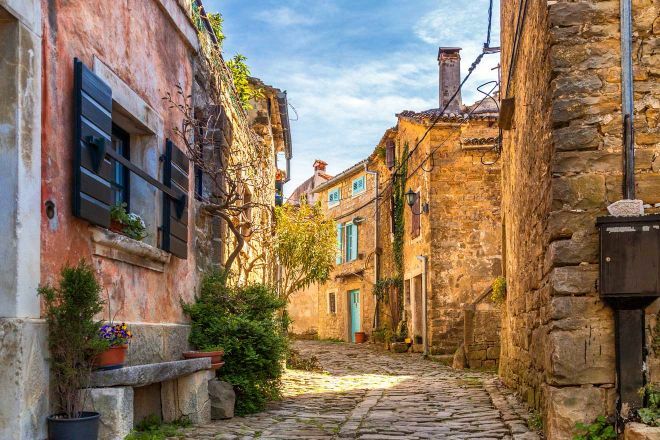 In this article, you can read about the 8 best towns in Istria that are definitely worth visiting during your vacation! 🙂 So if you are looking for some off-the-beaten-track holidays, this is for you! NOTE: Do not get scared by the number of towns I am mentioning in this post – they are all tiny (one of them is actually the smallest one in the world!) and are located close to each other. 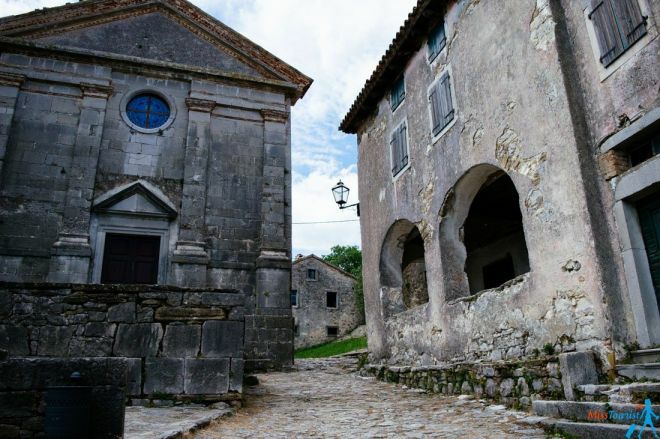 The unique heart-shaped Istrian peninsula has a rich history full of interesting happenings. After the WW1 Istria was known as an Italian region, but then, at the end of WW2, it became a part of Yugoslavia. Now it is part of Croatia and the people living there are part Italian and part Croatian. 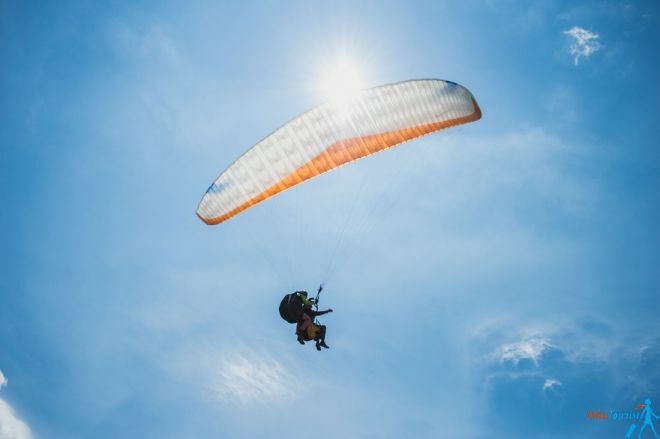 Istria peninsula is the perfect choice if you want a calm, relaxing holiday full of delicious food and wine tasting, walking on the beautiful pebble beaches, people watching and admiring the sunset but also maybe some… paragliding, parasailing or biking? Why not! 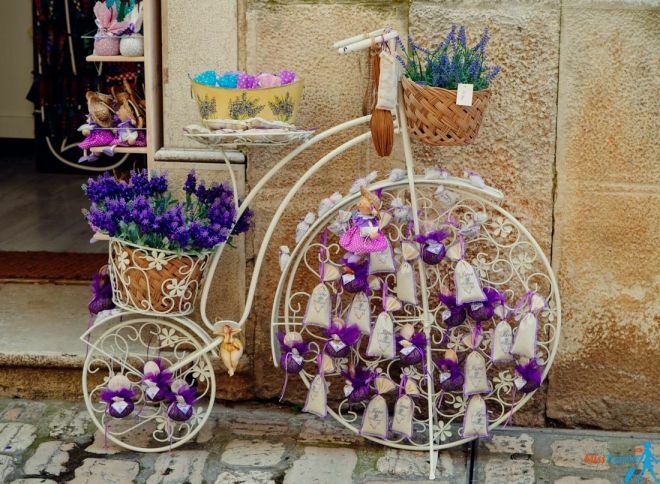 Istria is a charming region and, in fact, it is one of my favorite destinations in Europe! Here are the off-the-beaten-track towns that are a must-visit while in Croatia and my recommendations for accommodation, places to eat and what to do in Istria for each of them. 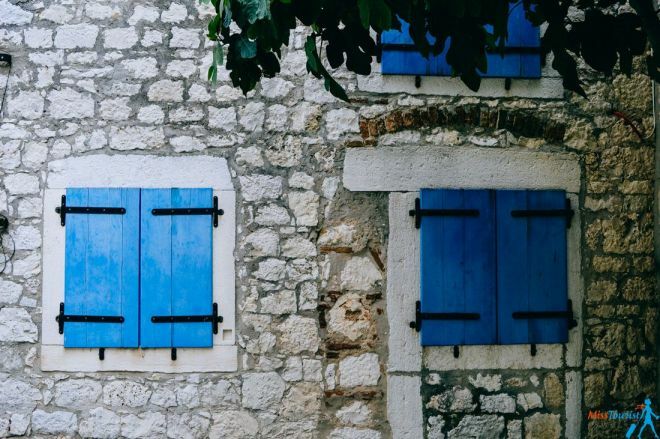 From Rovinj and Vrsar to Pula and Hum, this list has the best of Istria! Did you know that Rovinj is THE most popular Croatian destination by the amount of nights spent in the city? And there is no wonder why Rovinj is one of the best places in Istria, as this city is pure seaside bliss! Even if I usually try to escape touristic places, Rovinj is just too pretty to exclude from your Croatian itinerary and I was totally enchanted by it! Shiny stones on cobblestone streets, local markets with delicious treats, countless little boats wherever you look and a bell tower with a postcard-like view… What more can you wish for? It does not matter how many days you decide to stay in the city – 1 day or 1 week – I promise you that it won’t disappoint! 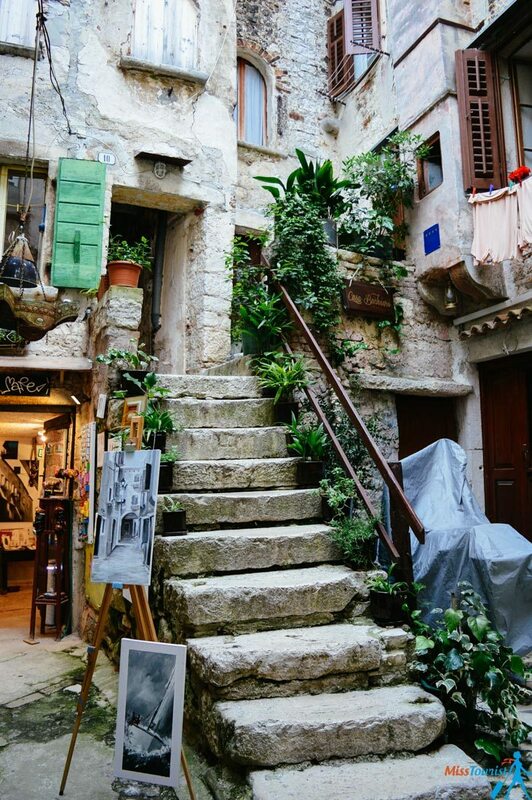 Even though Rovinj is extremely romantic, I would say that it is not only for lovebirds! 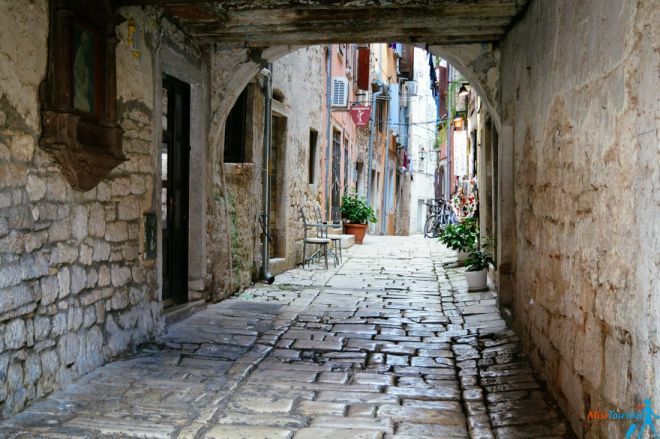 Both families or large groups of friends will find what to do in Rovinj. 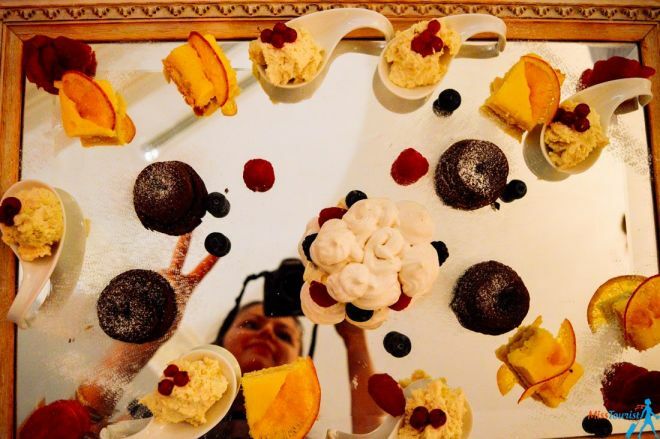 Luxury (150€ and up): Hotel Monte Mulini – gorgeous 5-star hotel with world-class service, located only 20 minutes away by foot from the city center and Hotel Lone Rovinj – the most famous hotel in the city and one of the best places to stay in Istria! Medium (50 – 150€): Hotel Angelo d’Oro – this one is an amazing 4-star hotel that provides great value for money. Casa Alice is a very good choice as well – 4-star hotel owned by a family that has their own winery, as well as olive groves! If you need more accommodation options, you can check out my article about Where To Stay In Rovinj! 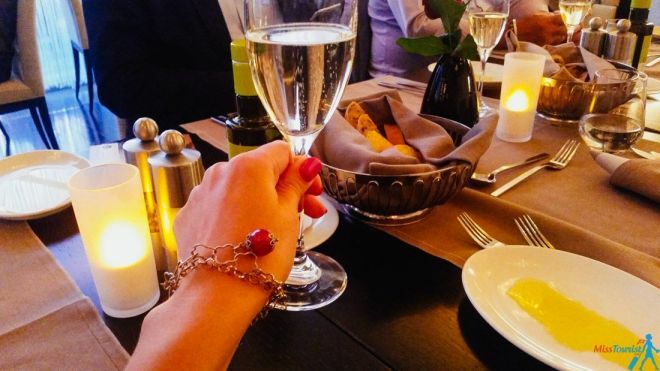 Restaurant Monte ($$$) – This restaurant is ranked as number one in the city and #2 in the entire region of Istria! Kantion ($$) – Go there for the amazing seafood dishes. Plus, the restaurant offers an amazing view of the waterfront! 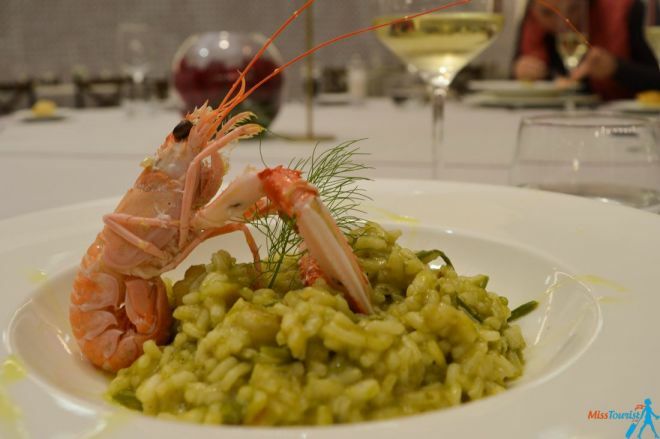 Enjoy some amazing seafood dishes – this is definitely one of the best things to do in Istria as well! (see my restaurant recommendations in the previous tab). Take a tour of Postojna Cave and Predjama Castle. During the tour, you will visit one of the most well-known caves in the world and the only preserved cave castle in Europe! 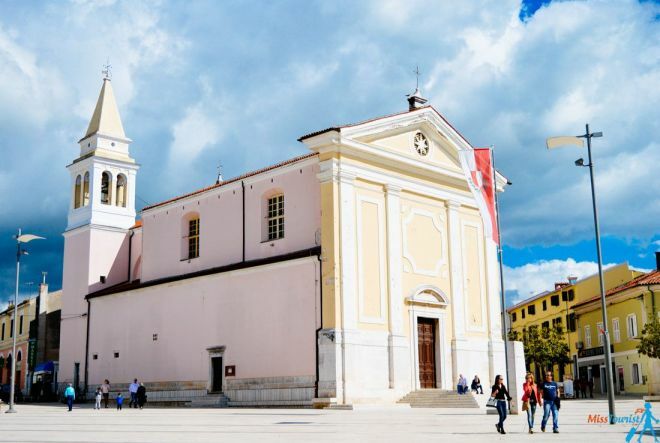 Vrsar is a small town of fishermen and it includes all the best things that Istrian towns have – natural wonders, stunning beaches, cultural heritage. I really recommend walking around the promenade and admiring the alleys and the charming houses. 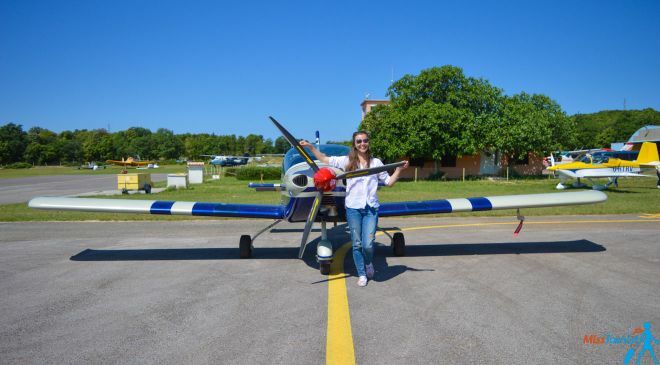 But Vrsar has something else that other cities in this list don’t have: a small airport where you can take a plane and fly over the area and admire the marvelous region from above! So if you are wondering where to go in Istria for a unique experience, you should know that this was, by far, the best thing I have done during my stay! Vrsar in Croatia is located somewhere between Rovinj and Pula and it is known thanks to the adventures that Giacomo Casanova had there during his visits in the 18th century. He wrote about his time in Vrsar in his memoirs and he noted that this is “the town of good wine and beautiful women”. In order to celebrate this, you can even take a “Casanova Tour” of the city. More details in the “What to do” section. Middle-priced (50 – 150€): Hotel Pineta – this one is located on a hill overlooking the city and it has an indoor and an outdoor pool waiting for you! 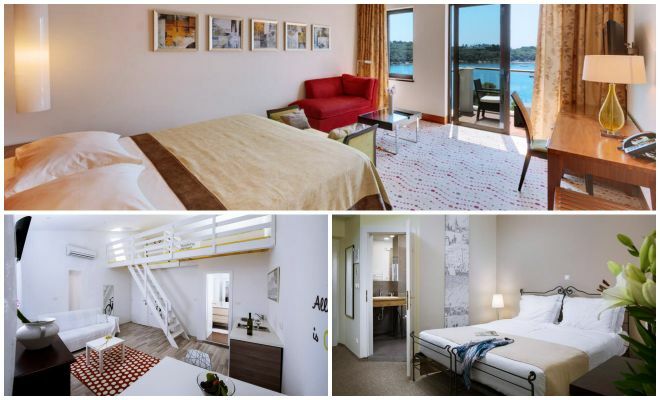 Hotel Vista – book a room here if you want to stay in a room with a gorgeous view over Vrsar Marina! Budget (50€ and less): Apartments Mirjana is a 3-star self-catering accommodation that offers different types of packages. Apartments Jurić is sparkling clean, nice and perfect for a good night’s sleep after a day of exploring around! 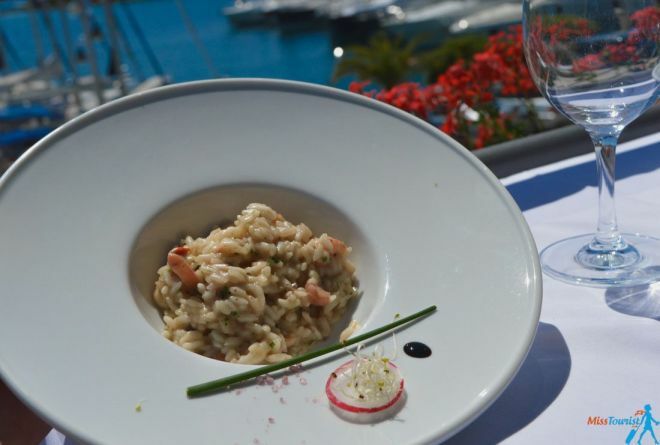 Restaurant Trošt – This restaurant is located in the Marina area of the city and, as usual, it has delicious food with an amazing view over the Riviera! I have already seen both the ground and the underground of Istria and I can say that I was charmed by both perspectives. However, when I saw the area from bird’s eye view, it definitely took my breath away and I fell in love with it forever! I have done a scenic helicopter flight over the Swedish Lapland afterward, but this memory will stay with me forever. Even though there are many places in the world where you can take a short flight just to see the view, Istria might just be THE place to do it. Seeing the beautiful little islands of the Adriatic Sea from above made me feel like I am in a live Discovery Channel scene. I still dream about it! I spoke some Russian with the pilot and he let me drive the plane a bit! Mom, I drove a ViperJet! Of course, this activity will be more expensive than your normal tourist excursion. But think about this: will you ever forget it? It is worth every penny, I guarantee you! 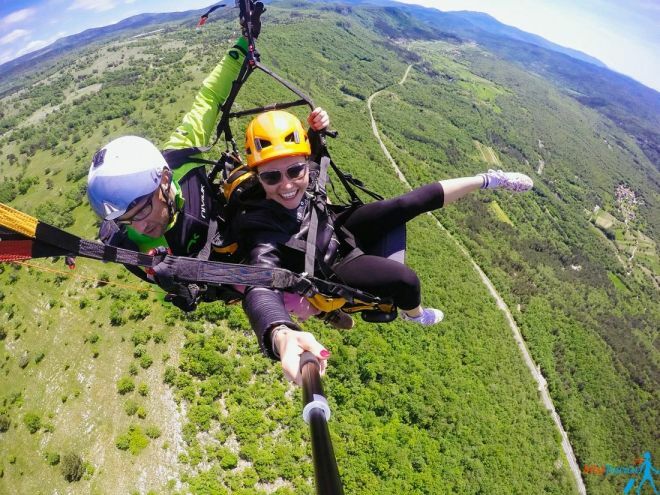 Aeropark Vrsar offers panoramic flights and tandem jumps. Panoramic flights are available from April to October. The price depends on the duration of the flight and it can be from 120 to 320 kunas per person and 600 to 1600 kunas per flight. 100 Kunas is approximately 15 US$, so don’t miss your chance! Take an interactive “Casanova Tour” while in the city in order to find out more about the history of the place. You can book it at the Info Center (Vrsar Tourism Board) in the city. Motovun is another one of those gorgeous, well-preserved Istria towns, located on the very top of the mountain, at the end of a stairway made of 1052 steps! If you have ever been to Tuscany, you will find the landscape to be similar. The city has some very well-preserved monuments such as the Bell Tower that dates from the 13th century or the church that still beautifully stands from the 17th century. Except for being a beautiful medieval town which still keeps its walls, Motovun is also a Mecca for paragliders! I flew over the hilltop town and the green terrain! It was a marvelous experience, even if I did paragliding before, the view made me feel like I am in the opening scene of a movie! 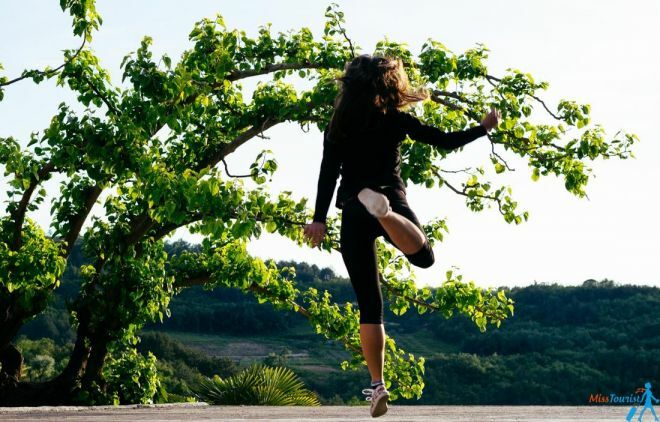 If you are a film aficionado visiting, and you are visiting in July, you might be lucky enough to go to Motovun Film Festival – a 5-days film festival that screens International movies from all over the world. Middle-priced (50 – 150€): Studio Sijara – in case you are searching for a self-catering type of accommodation where you can relax and enjoy some peace, this is your perfect option. Boutique Hotel Kastel Motovun is a popular choice and it provides excellent service. Indoor pool, à-la-carte restaurant and more! Villa Borgo B&B – panoramic views, awesome location, and sunny rooms – what more can you wish for? Budget (50€ or less): Apartments and Rooms Nirvana – 3-stars apartments in a traditional house, located in the center of Motovun. Villa Fragola is a gorgeous, accessible option with free Wi-Fi and beautiful terrace and Bella Vista Apartments offers magnificent views over the river and it is located in the historical center of the city. All three are very good options for budget accommodation! 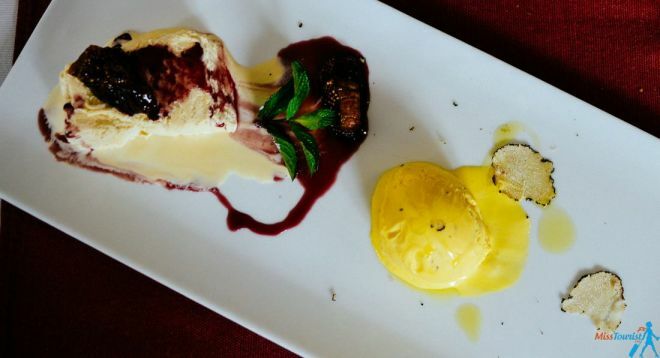 Zigante – a VERY well-known restaurant in Croatia where everything is made with truffles and yes, even ice cream with truffles is also in the menu! I loved it and it was an unforgettable experience for me! The restaurant is located just underneath Motovun, in the village called Livade. When in Motovun, I highly recommend paragliding! This is a #1 activity in the town for a reason! During Motovun paragliding, you will fly over a picturesque village called Buzet (which is 4 km from Motovun). Your instructor, a highly experienced guy from Australia will make your visit to Motovun truly unique and if you don’t have your own GoPro, he will take care of the pictures as well! 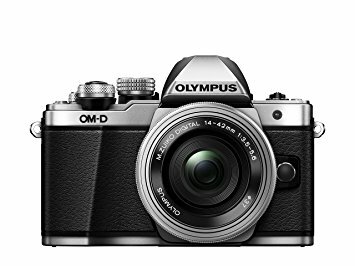 You can find more info and pricing here. Poreč is a Roman city where history stretches back a long time. 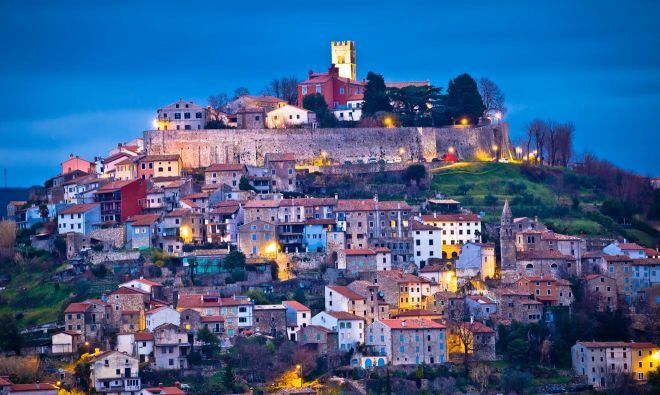 This is one of the biggest towns out of the 8 in this post and it has slowly become one of the top destinations in Istria. If Motovun and Vrsar are the perfect little towns for a calm getaway where the main activity is relaxation, Poreč is a place for party people too! This is one of the most touristic destinations in Croatia for good reason – it has the perfect balance of nightlife, family and extreme activities, beautiful beaches and good hotels. If you want to add Poreč, Croatia to your Istrian coast holiday, I recommend exploring the historical sites of the city with a tour guide. The Euphrasian Basilica, for instance, dates back to 4th century and it is a UNESCO World Heritage site and visiting it is free of charge on Sundays. 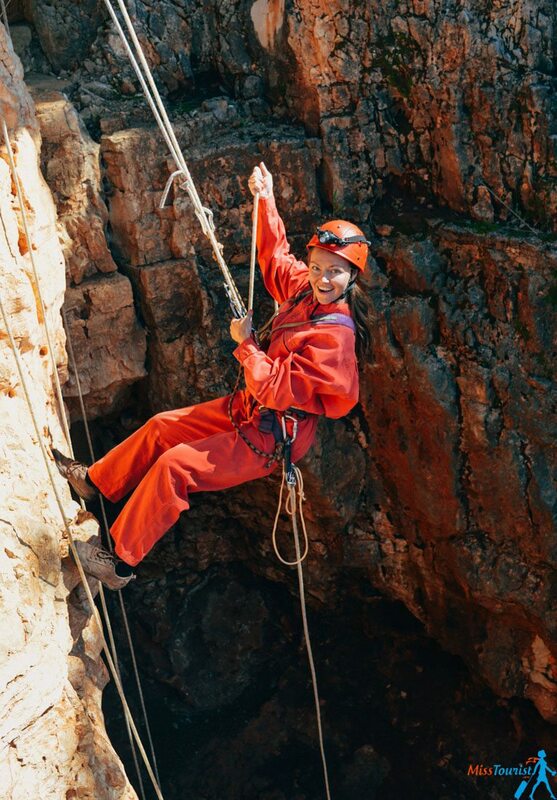 If you have never done rappelling before, you can check out the Baredine Cave, it is a lot of fun! You can find more details about this in the “What to do” section below. Luxury (150€ and up): Isabella Island resort – secluded and romantic, this place is perfect for honeymooners and those trying to escape the touristic crowds. Boutique Hotel Mauro is another great option for staying in the city. Middle-priced (50 – 150€): Valamar Riviera Porec Hotel 4* – I stayed in this hotel for 3 nights and I loved it! The breakfasts were marvelous, the room faced the Riviera and the hotel has the most central location in the city. The staff is extremely nice – when I figured out that I forgot my toothbrush, they immediately gave me a new one free of charge! Residence Villa Karda is my second recommendation for a middle-priced accommodation with great service. It offers great service and a good value for money! 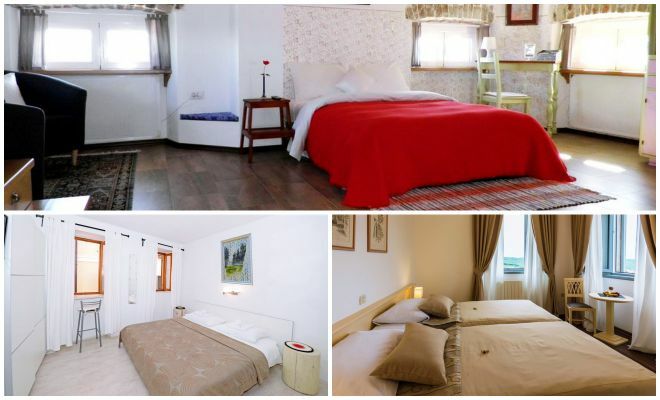 Budget (50€ and less): Guesthouse Casa Nova and Apartment Armando – both of them offer great service and a perfect place to spend your nights, relax and prepare for your next adventure! Konoba Cakula – This was the first restaurant that I tried in Istria! It has a great location and the food and décor are simply amazing. There are live concerts with local music during the evening and the restaurant offers a beautiful view over the sea with a central location. I loved the desserts! Hrast – Great for seafood dishes. It has an amazing location outside of the crowded streets with a stunning view over the Old Town, just 7-10 mins away by walking from the heart of the city. Everything is homemade, delicious and fresh! Restaurant Divino – Live concerts with local music during the evening, a beautiful view over the sea, central location. Yummy desserts! Restaurant Miramare – This secluded restaurant serves delicious dishes. Nothing can beat its location, as it is on the island (the boats depart every 30 minutes and it takes 5-7 minutes to get there). Here I have witnessed one of the most beautiful sunsets ever! The Baredine cave is a popular natural site near Porec. After you have seen the beauty of the Istrian peninsula from both the ground and the air, you think nothing else can surprise you. Totally not true! Not until you do some rappelling, of course! Rappelling, also known as abseiling, is the controlled descent off a rock. Once you descend, you will encounter an absolutely new and mysterious world down there. My guide was professional and I felt safe the whole time. After putting on all the equipment I needed, he explained how to climb up and everything went smoothly. No previous experience required. But if you are still concerned that you won’t be able to do it, you can walk down a special path that will lead you to another gorgeous cave. A guided walk takes approximately 40 minutes. You can find more details about rappelling in Baredine Cave here. Explore the rich heritage of the city – for example, the Round Tower or the Euphrasian Basilica, which is a UNESCO World Heritage site that dates from the 4th century! Be active on the beach – banana rides, jet ski rental, parasailing etc. Groznjan is another charming town with a medieval feeling, known as a “village of artists”. 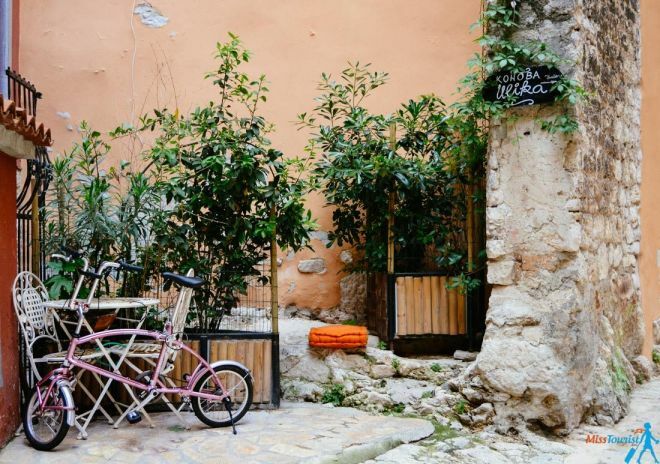 The best thing to do in the city is to walk around and admire the cobbled, narrow streets, visit some artists’ studios and just enjoy the view while indulging in some local cuisine. After WWII, national artists started making their studios and workshops in Groznjan, as it was a very calm and almost empty city at the time. Because of this, the town now hosts many art galleries where you can admire local paintings, sculptures and more. If you visit it during July or August, you will be able to enjoy seeing plenty of musicians playing in the streets. In that time, the town starts to be filled with people, and you will hear anything from jazz to classical music! In July there is also a music festival taking place called Jazz is Back. Except for being an artistic destination, Groznjan is great for outdoor activities as well! How about some cycling in Croatia? You can do a 3 hours descend by bike through a picturesque landscape filled with bridges! Although this can sound a bit extreme, it is not difficult at all – you just have to enjoy the fantastic views and have fun! Middle-priced (50 – 150€): House Fiorela is a gorgeous rustic house located in a quiet, green area of the city. Apartment Mita is a nice apartment that boasts a garden, free Wi-Fi, a terrace and beautiful mountain views! Last but not least, Apartment Groznjan 7038a awaits you with a fully equipped kitchen, private bathroom with a shower and even a garden! Budget (50€ and less): Apartments Smile is an ideal accommodation for budget travelers because of the very good service and accessible prices. Sobe Pintur is a 3-stars guesthouse; it even has a restaurant that serves traditional Istrian cuisine! Rooms Svalina is located in a traditional stone Istrian house with gorgeous views and cozy rooms! Pula is the largest city and the capital of Istria region, so it was not possible to skip it from my Top 8 cities in Istria, of course! When in Pula city (or “Pola” in Italian) make sure you do not miss the Colosseum (Arena). With a capacity of 20.000 people, the Arena of Pula is the 6th largest coliseum in the world and definitely a must-visit while in the city! It is also the only remaining (and the best-preserved!) Roman amphitheater to have a four-sided tower. Now, the Arena hosts concerts and festivals frequently. 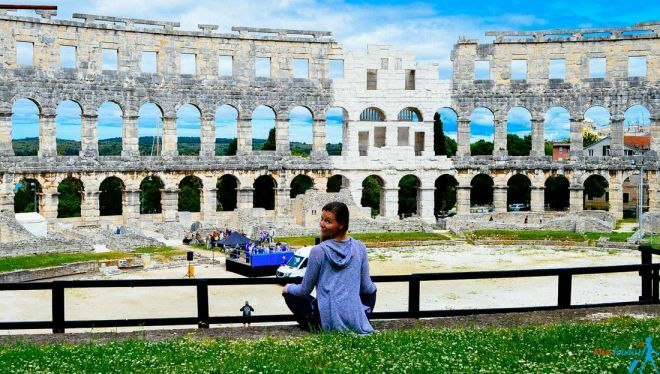 Other than its Arena, the city of Pula has all the other great Istrian attractions: gorgeous beaches where you can swim or dive, delicious cuisine and, of course, a rich history! If you want to find more about the city, I wrote a separate post about things to do in Pula here. Luxury (150€ and up): Boutique Hotel Oasi is a nice 4-stars hotel located only 4km away from Pula, in Pješčana Uvala. Boutique Hotel Villa Vulin is a marvelous 5-stars accommodation that awaits you with luxury amenities, beautiful rooms and anything else you might need! Middle-priced (50 – 150€): Rooms Villa Oasiss – this is the hotels where I have stayed and you read the full review here. Boutique Hotel Valsabbion is another great choice that provides 4-star service and the staff is super friendly! Budget (50€ and less): Apartment Mir – this apartment is clean, nicely decorated and accessible, which makes it pretty much perfect for anyone traveling to Pula! Apartments Hortensia is a 4-star accommodation that awaits you with free Wi-Fi, air-conditioned rooms and a relaxing garden! La Grisa, Bale – This is probably my favorite restaurant in Pula. It is located a bit outside the city, but no more than 5 minutes away, as everything is so close and the town is small. La Grisa Boutique Hotel has a really interesting cuisine and olive oil to die for! The 3-course meal was about 35€. If you go there, you are guaranteed to have an amazing lunch filled with truffles and even olive oil ice cream! Konoba Batelina – first Croatian restaurant to receive a Michelin star! Delicious seafood, fish dishes, and appetizers, but make sure to make a reservation first and note that you can only pay by cash. Totally worth it, though! 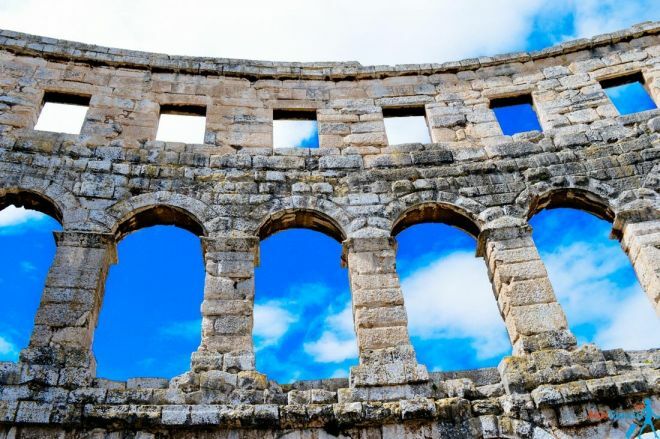 Visit the Coliseum/Arena Pula – a must-see in Pula, Croatia! All the activities above are described in detail in my post about things to do in Pula. 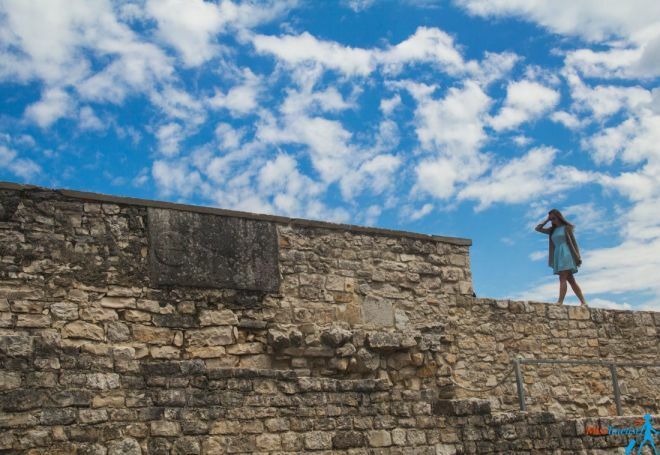 In case you are a history lover, you will definitely love Umag for its greatly preserved town walls and towers which date back to the old Roman times! 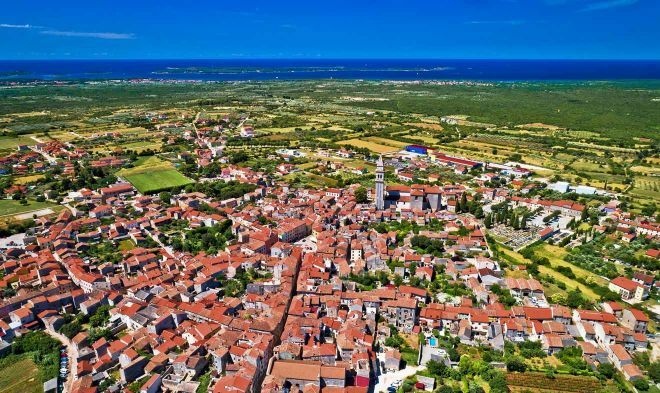 Umag is also, probably, the first city you will arrive to in Istria if you are coming from the West and this is why the city is also known as “the Croatian gate to Europe”. 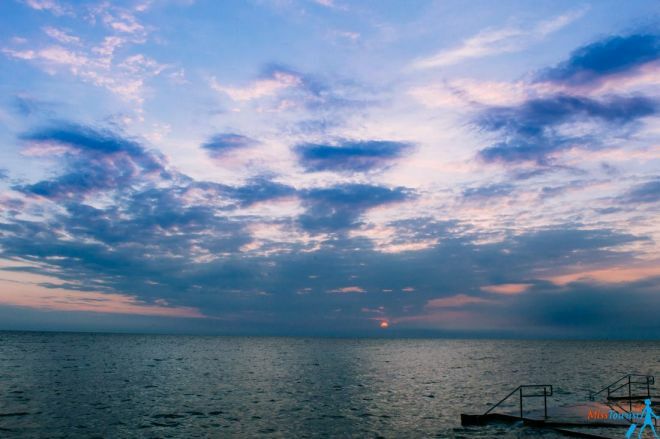 The town of Umag has a busy touristic center thanks to its stunning beaches and the natural beauty around the town. I think this small and cute city is an excellent option for Croatia family holidays or for a relaxed couple or friends vacation! All the accommodation suggestions in this list were carefully selected by me with two main criteria in mind: great location and fabulous reviews from travelers. 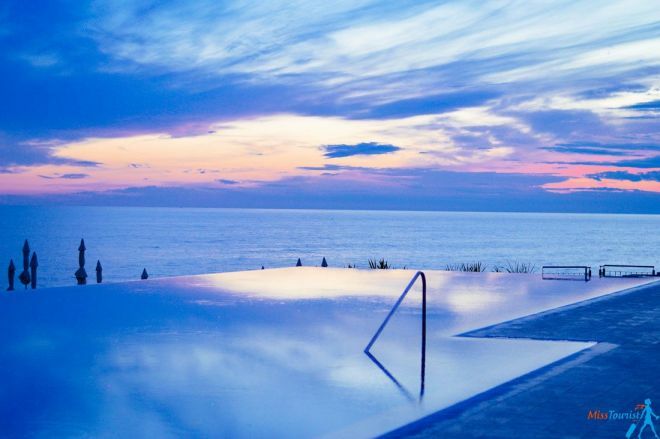 Luxury (150€ and up): Melia Coral 5* – Amazing hotel overlooking the sea where you can get a BMW driving experience free of charge (you just need to ask at the front desk!). I have stayed at Melia Coral for 2 nights and I had an excellent time there – I would love to come back one day! Kempinski Umag Hotel Adriatic – outstanding quality 5-star hotel with amazing décor. I was lucky to have dinner in their restaurant and I can say that the food was delicious and the staff was perfect! Middle-priced (50 – 150€): Hotel Villa Rosetta – this accommodation is located in a perfect, lush green area and it is so close to the beach, you won’t even believe it! Hotel Zlatna Vala – 3-stars hotel with excellent service, this one is also located right by the sea, 4.8km from the center of the city. Budget (50€ and less): Apartment Klara – this one is located a bit more far away from the center, but the apartment is air-conditioned and perfect for up to 8 people! 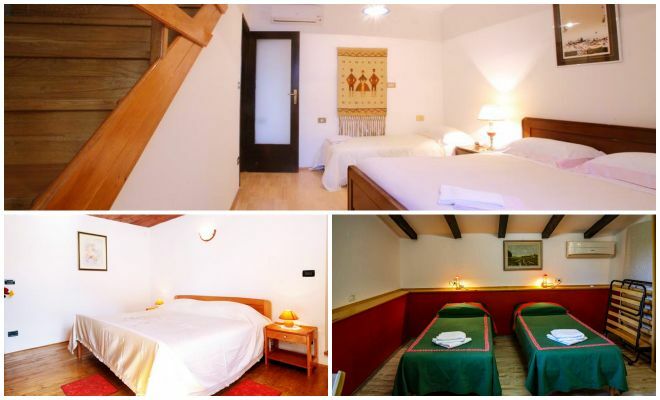 Apartments Brnada – great quality accommodation with free Wi-Fi, fully equipped kitchen and private bathrooms. 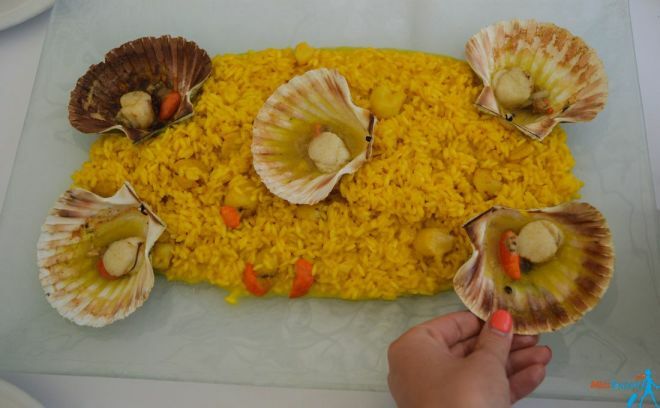 Melia Coral restaurant – Go there for their seafood delicacies. Every single one of the dishes I tried was outstanding. When we were there, the restaurant was almost empty, which is a shame, given the quality of service and the value for money! 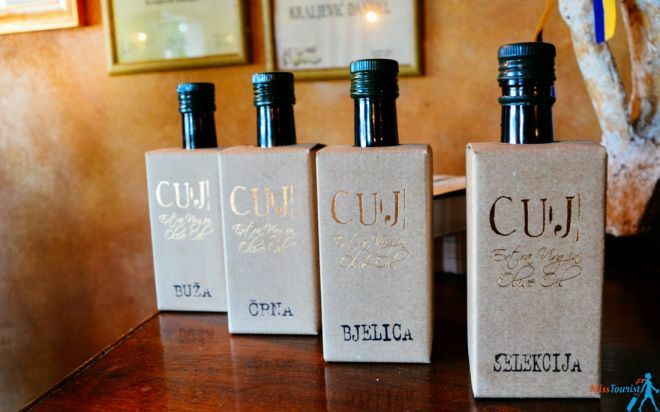 Olive oil tasting in CUJ – Yes, tasting olive oil is a thing in Istria! Out of all the olive oil tastings I did, I liked this one the most, so I even bought a bottle to enjoy back home. Totally worth it! Indulge in some fish and seafood dishes and taste the local wine, of course! Did you know that Hum is actually the smallest city in the entire world? 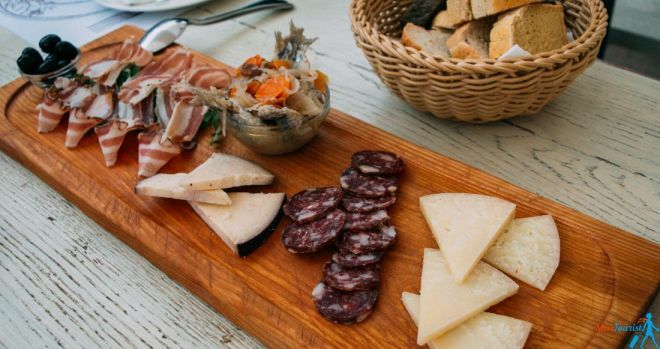 Just like all the other wonderful cities in this article, Hum city preserves the charming, historical atmosphere of Istria. The medieval streets are so beautiful and inviting that you just can’t help discover them and the surrounding area. 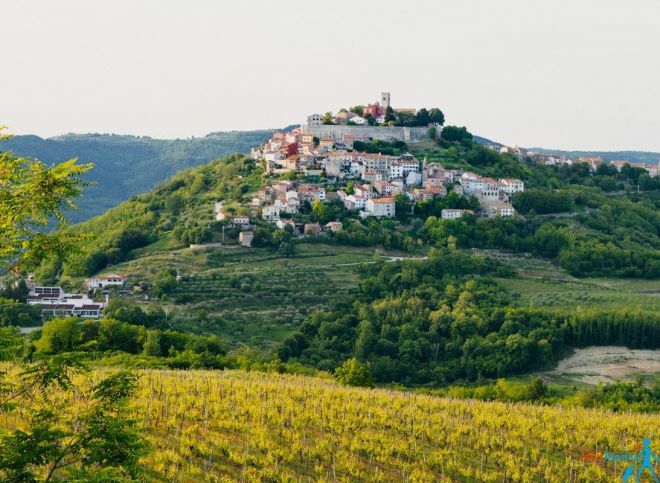 Hum makes for a great day trip for your Istria holidays and it can be easily visited a couple of hours! While you are there, you can visit the main square with its church and bell tower and indulge in some miska brandy – a local specialty made from mistletoe! Middle-priced (50 – 150€): House Vera – beautiful stone house with wooden ceiling, terrace, fireplace, and free parking. 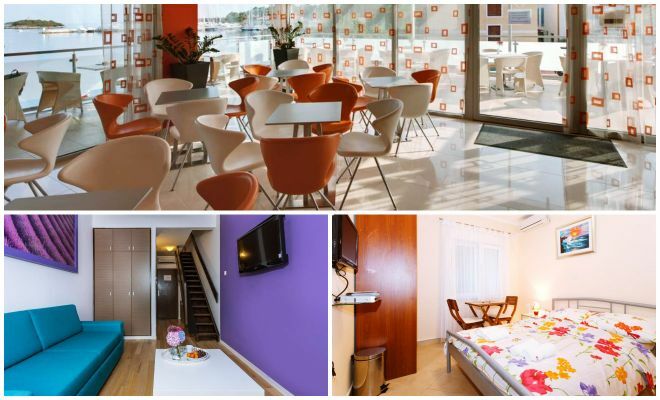 Jasmina Apartment – 4-stars apartments that await you with free Wi-Fi, barbecue facilities, a garden and more! Apartment Franko is located in the center of the city and 40km from Trieste, Italy. Budget (50€ and less): Apartment Dores – cozy and sparkling clean accommodation with an on-site restaurant, barbecue facilities and a garden. Even though there is not much to be done in Hum, as you will cross the whole “city” in 5 minutes, you can taste some miska brandy, which is a local specialty made from mistletoe! In my opinion, the city is worth visiting, nevertheless! 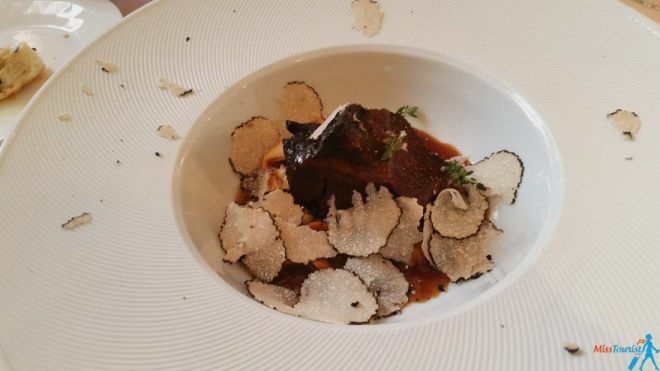 Livade – best place to indulge in truffles, including white autumn truffles, which are the most expensive type of truffles in the entire world! One last tip – to fully experience the region, you should definitely rent a car. The first time I visited Istria, I only relied on public transportation and there was SUCH a great difference between the two experiences, you can’t even imagine! I hardly saw and felt only 10% of what I managed to do when we had a car. 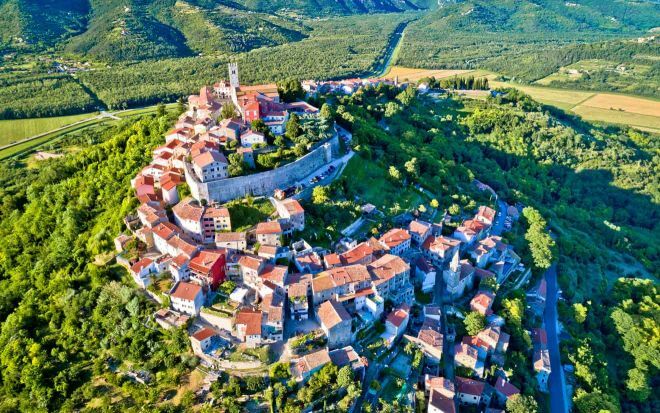 Because most of the cities in this list are small and can be visited during a day trip, having a car to drive around will help you create the perfect Istria itinerary for yourself – just imagine having the flexibility of visiting whichever town you want and then leaving for your next adventure! UPDATE: I have made an extensive research that showed that this website has be best deals on car hire in Croatia! I can say that this website is reliable and I only had positive feedback ever since I started working with them! The only airport in Istria is the one in Pula, so you can take a plane and arrive there. From Croatia, you can get a ticket with Croatia Airlines from Zagreb or Zadar to Pula. As for Italy, the airport at Trieste is located the closest and Venice (I arrived to Venice as it was the easiest for me) can be a good option as well. If you arrive at Pula Airport, you can get your one-way transfer from the airport here. 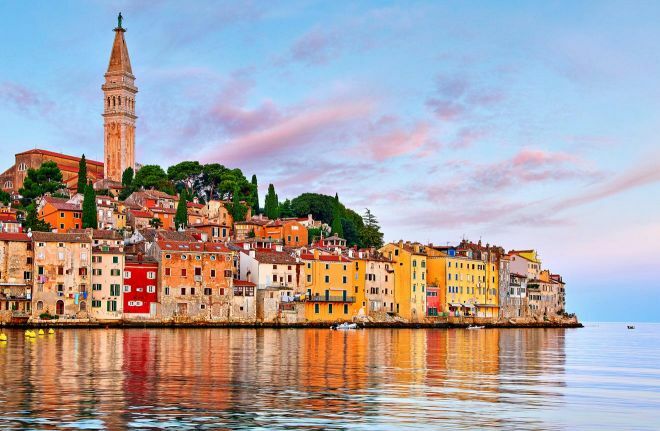 Because Istria is so close to Italy, there is a variety of options for buses departing from Trieste and going to Rovinj, Buje, Porec, and Pula. You can check the schedule here. Another option would be to take a bus from Venice to Pula using FILS – you can check all the details on their website. If you are already in Croatia, you can take various buses from Croatian towns to Istrian ones. You can check your desired route on FILS or Brioni. You can also go from Venice to Istria by boat during summer. Venezia Lines has a route that stops in Porec, Rovinj, Pula, and Rabac. That’s it, guys! There are many more charming towns in the area, but these 8 ones were on my top list for Istria, that is why I recommend you don’t skip them during your vacation! I have spent 10 days visiting the charming towns of Istria, tasting olive oil, drinking wine, enjoying delicious seafood and trying some extreme activities. There is so much to do in the region of Istria, it is unbelievable how 10 days were absolutely not enough to fully explore the little peninsula! If you are still thinking if you should visit Istria or not, I hope that my Istria travel guide was convincing enough and that you found some inspiration in it! Disclaimer: I have been invited by Share Istria team for part of my stay in Istria. My opinion is honest, I absolutely loved the region! As usual, let me know if you have any questions, I will be happy to answer your comments! Yulia, is mid October still good time to go? Definitely, it might be the most beautiful one, too! I was there in the mid of May, which is also the shoulder season, and it was beautiful! The season hasnt started yet, so not too crowded, the prices are lower and still warm enough to enjoy the beauty of the region! This is so cute, and I think it’s historically very interesting to visit this place! Yes, it has such rich history and it is incredibly beautiful indeed! 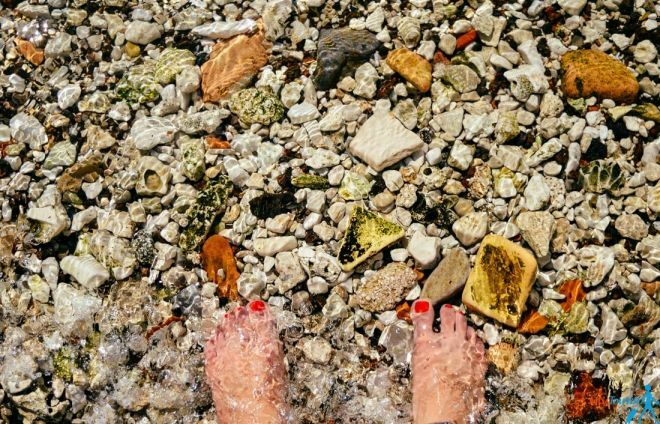 Loved your Blog, was concerned that 12 days would be too long in Istria but after reading your info I think it will be perfect. Also great that you commented re car hire as we were going to depend on public transport as we are from South Africa and driving abroad has not been our best experience but I am hoping it will have quieter roads that what we experienced when previously in Croatia and Spain last year! We will be traveling during March and June 2018 and holding thumbs the weather will be good. Hi Sonja, happy it was useful! Yes, I would say 12 days is not that much actually, there are so many things to see!Plus, you probably dont want to rush too much on your vacation, do you? And yes, renting a car is pretty much the only way (imho) to get around little towns in this charming region! The roads are quite and so beautiful! Awwww, how nice! thank you! Thank you for this post! I am planning a trip to Croatia now and had no idea about the Istria Peninsula. It is definitely on my travel agenda now. Unfortunately I will be there in March, do you think most things will be closed then? I am so happy i convinced you to go, you it such a charming region! I have also visited in relatively low season, and i personally think it is even better this way as it can get crowded during the season. This way you will have it pretty much just for yourself, and yes, thins are open! Thank you! I think you are right, we will be able to avoid the crowds if we go during off season. What was the best thing you did in the region that you would say I shouldn’t miss? Thank you! Would you have any comments about the Eastern side of Istria? Volosko? We will be visiting Istria for 2 days in June and would love your input! Sorry, I havent been to th Eastern part (yet), but I just checked the pictures and it looks great! Thanks for sharing such an infromative article. 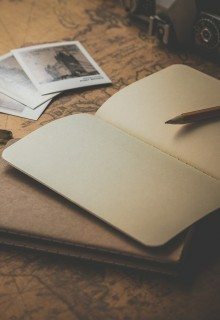 I feel this article will definitely help me a lot in my next journey. 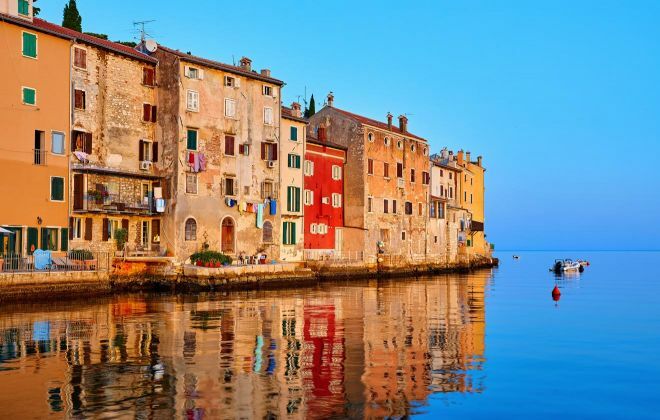 Either one of the cities in this list are great for what you are planning, but if you want to have enough places to explore and choices to stay overnight, I would recommend Motovun (2h50′ from Venice), Poreč (almost the same) or Rovinj if you want to drive more (around 3h from Venice). I don’t think I would go any more South than Rovinj if you want to have some time left to explore. If you leave early in the morning I think this is doable. 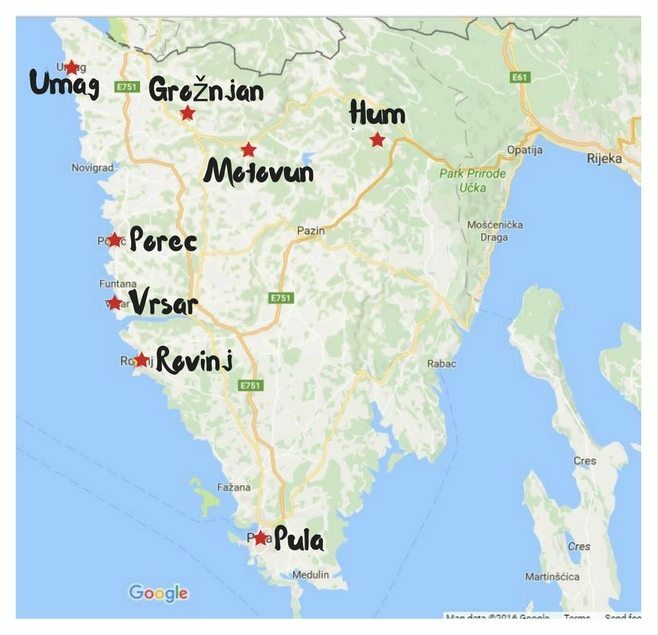 The next day you can drive from either one of these cities to Ljubljana (Motovun and Poreč are the closest, around 2h) and then back to Soca Valley (another 2h). I hope you will have a great vacation!